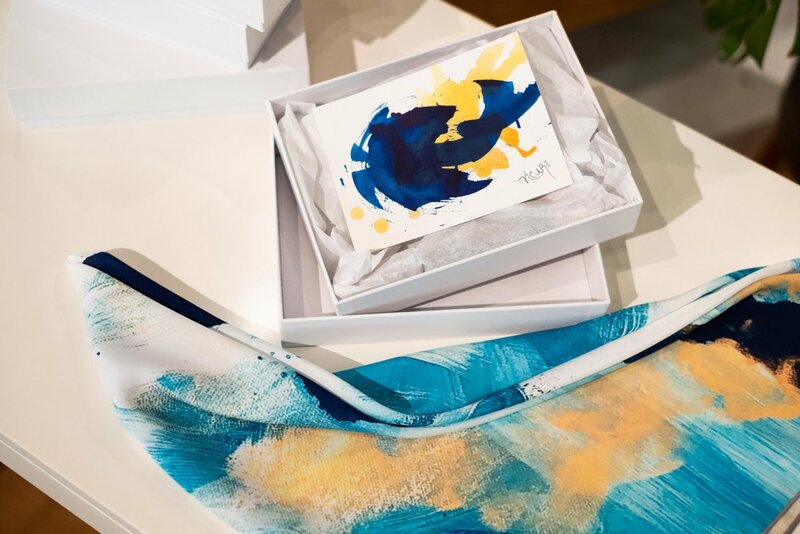 Partnership with West Elm's LOCAL program which has introduced the work of thousands of artists and artisans around the world while making each store a local community connector. 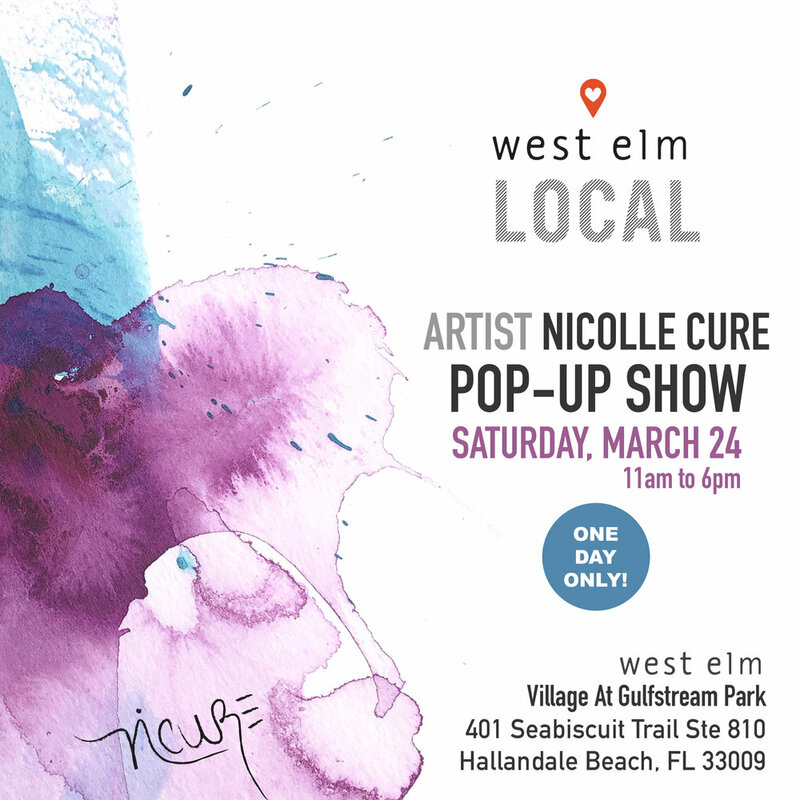 pop-ups at west elm, click here. 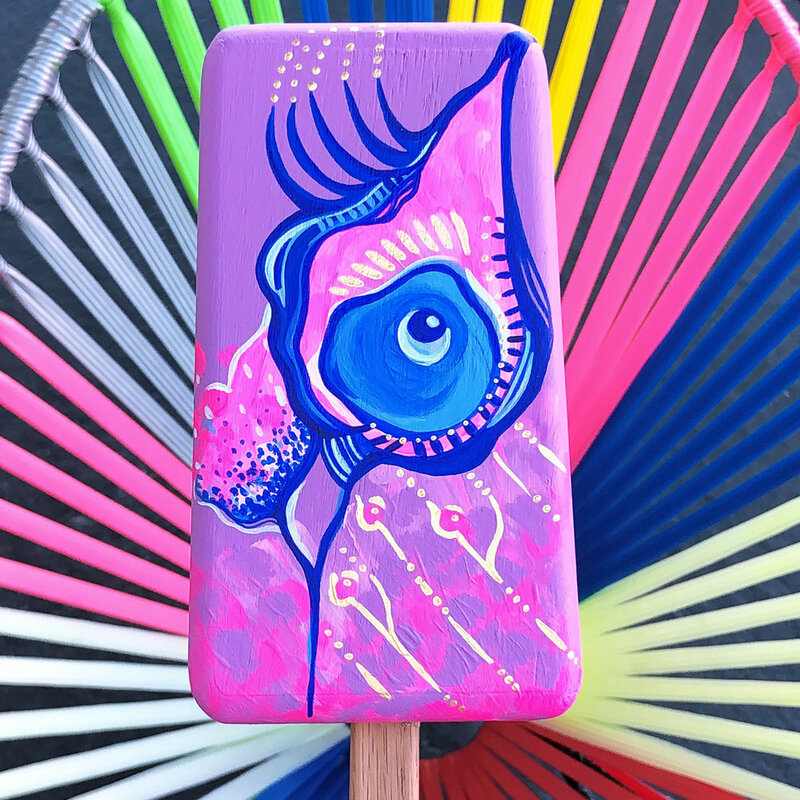 Heavenly sweet collaboration with Cielito Artisan Pops located in Wynwood, Miami. 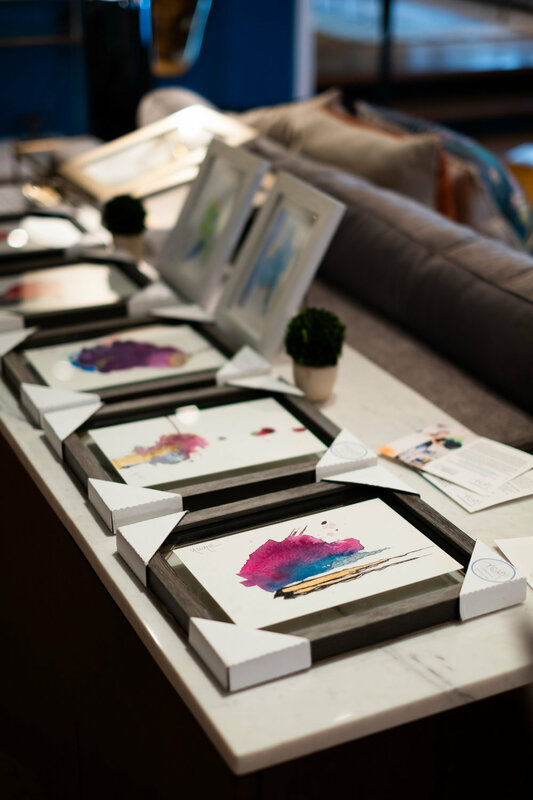 These pops are currently on display and available for purchase at Cielito Wynwood. 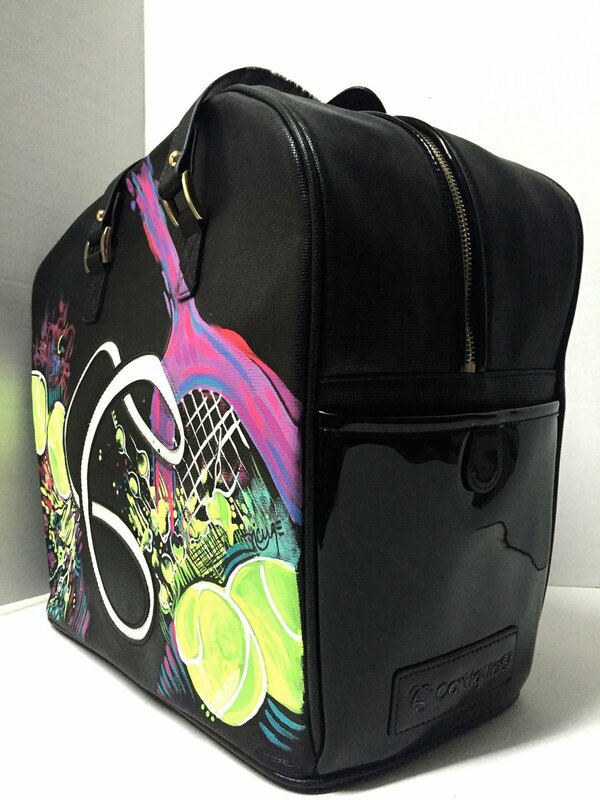 Custom made designs commissioned by the LA-based luxury tennis handbag brand Cortiglia for their Art Basel 2015 Collection. 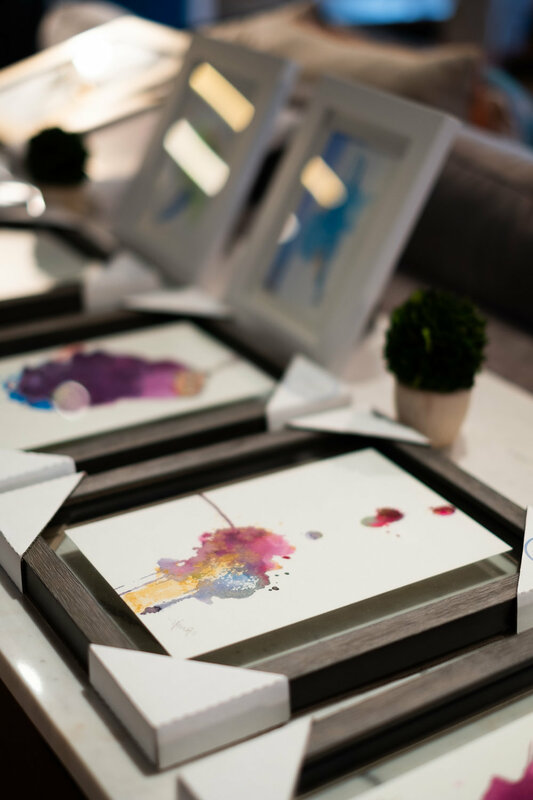 They were auctioned and sold during a private exhibit to support Nicolle's charity of choice, Labs4Rescue. Collaborative outdoor mural project for the Ronald Reagan Sr. High School in Doral, Florida. Over 25 murals were commissioned by Miami-Dade Public Schools officials to honor the memories of two students from the school who died during a fatal car accident. For the Love of Dogs & Cats is a display of the wonderful feelings that pets awaken in human beings. A portion of this collection has been donated to several organizations, including the U.S. Humane Society. 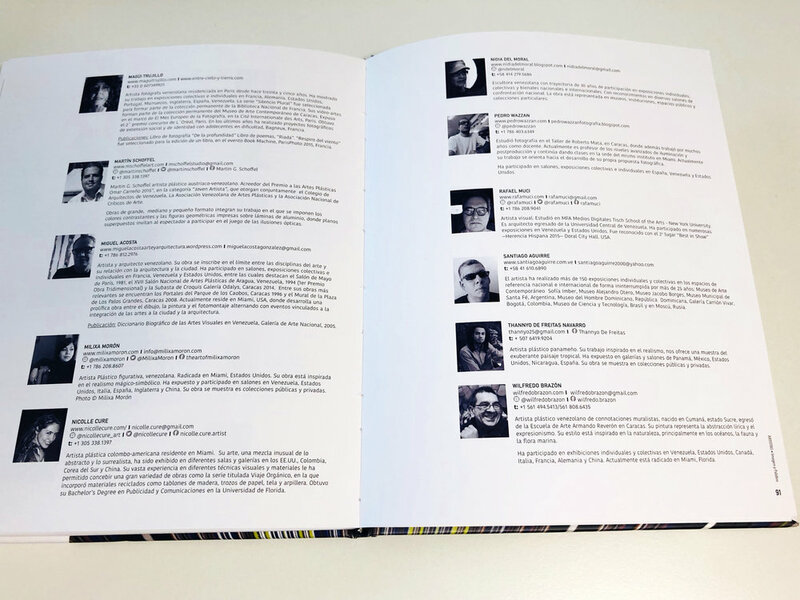 Nicolle's art featured in ARTISTAS IMAGEN Y PALABRA, a book by writer, Edith Monge Silva with the collaboration of Latin-American art curator, Katherine Chacon. "Ámbitos fantásticos y figuras oníricas pueblan la pintura de Nicolle Cure. 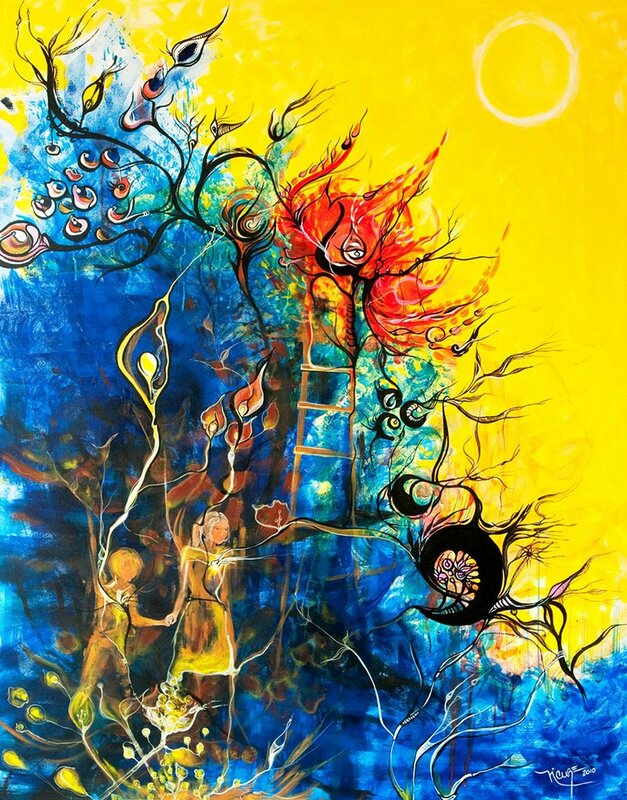 Con clara inspiración en artistas como Salvador Dalí o Roberto Matta, Cure elabora ámbitos de fábula, haciendo gala de un dinámico sentido compositivo, un expresivo uso del color, y una pincelada cargada de lirismo. Sus figuras son formas que danzan al ritmo del vuelo imaginativo de esta interesante artista." especializada en arte venezolano y latinoamericano. By Katherine Chacon, Art Critic, Curator and Researcher. 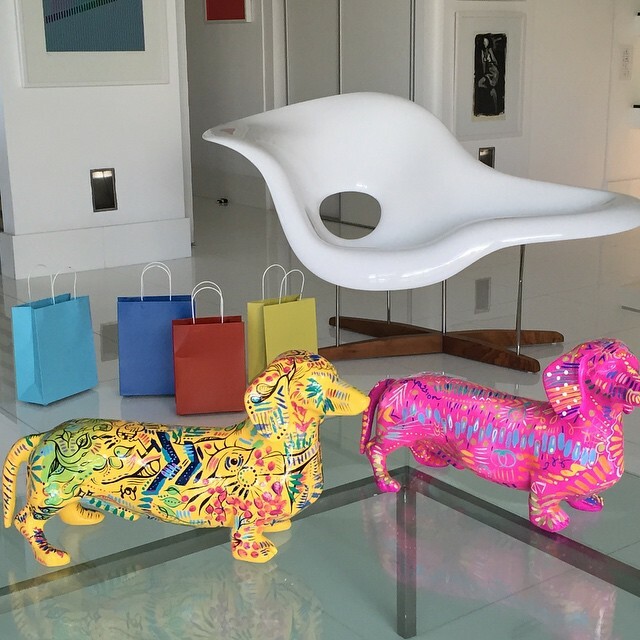 Specialized in Venezuelan art and Latin-American art. 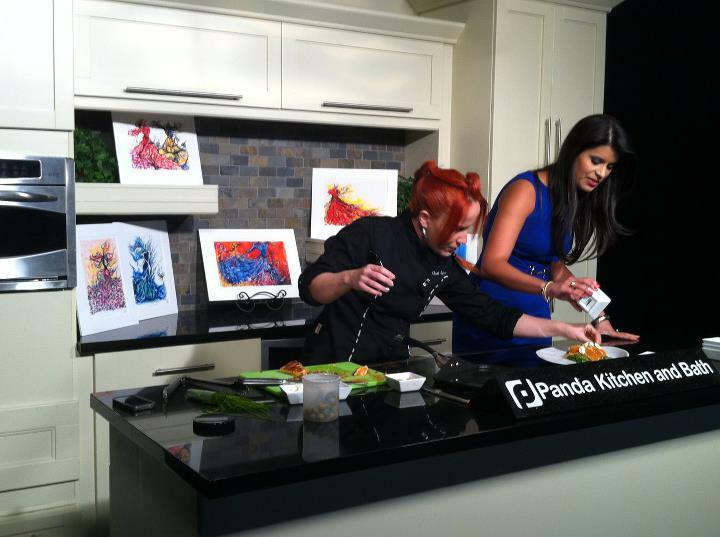 Nicolle's art was selected to decorate the set of NBC6 Miami's Live Cooking with Chef Adrianne for over 30 episodes. 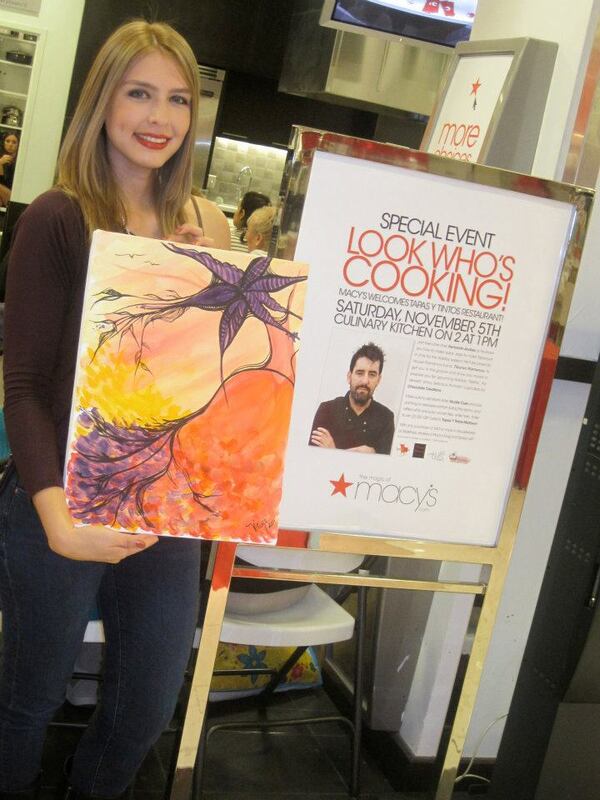 LIVE Painting + Culinary Demo at Macy's Aventura. Nicolle created a custom piece during the event that was inspired by the Spanish culture. The painting was raffled off to one lucky winner. 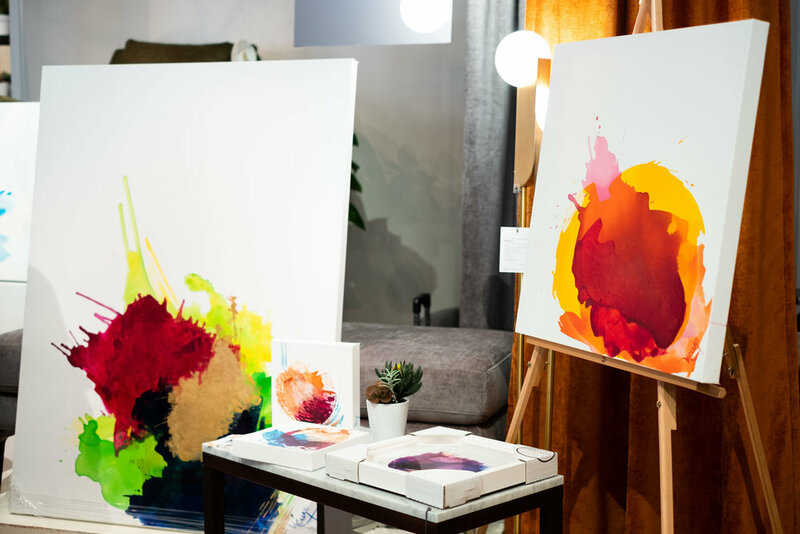 Blossom of Dreams, acquired by MCM Engineers & Contractors–– 100% of the profits of this sale were donated to the Jackson Memorial Foundation for Pediatric Cancer Research. A group of artists was invited to display their works as part of an exhibit honoring the life of Audrey Hepburn. The Archive Fine Arts & Collectibles also held a book signing for Just Being Audrey during the exhibit. La Salle College (LCI) Organic Journey Art Workshop in Barranquilla, Colombia. LCI Barranquilla is part of the LCI Education Network, allowing students and staff to connect to a 12,000 strong creative network around the globe. Organic Journey Art Workshop at the British International School (BIC) in Barranquilla, Colombia. Nicolle's art displayed during a performance of Siman Orchestral Foundation.